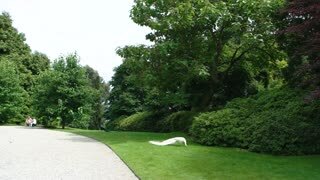 White peacock on the lawn. 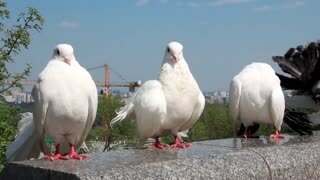 Beautiful bird, summer nature. 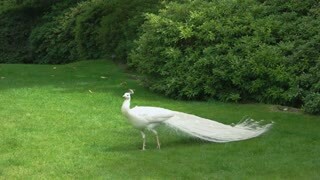 White peacock in the park. Bird walking on the lawn. 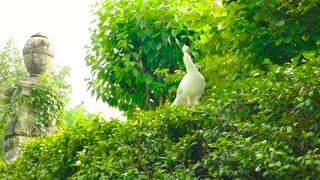 White peafowl summer nature. 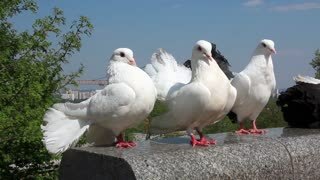 Beautiful bird outdoor. 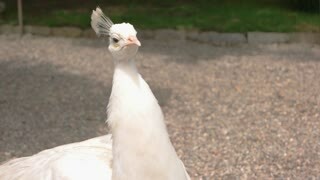 Beautiful white peacock. Exotic bird with long neck. 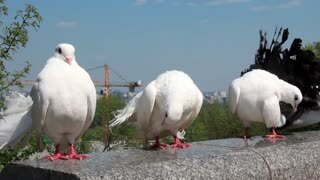 How birds respond to environment. 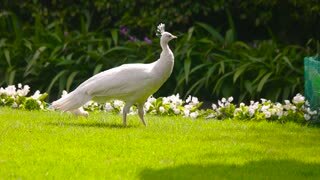 White peafowl on green lawn. Beautiful bird in the park. 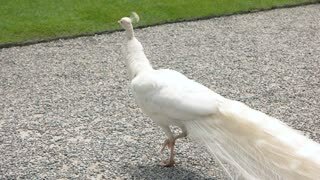 White peacock walking outdoor. Beautiful bird with long tail. 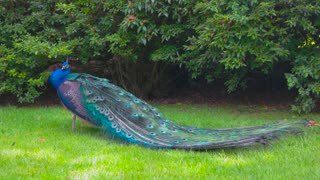 Beautiful peacock outdoor. Bird on green lawn. 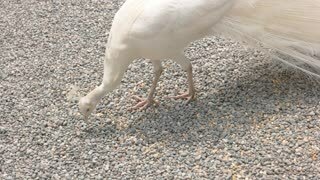 White peafowl and peachick outdoor. Birds on the lawn, summer.